This fundraiser series features special showcase events designed for a family-friendly audience. Spark-le your creative learning at the Children’s Museum on April 13, 2019 for Family Night Out! 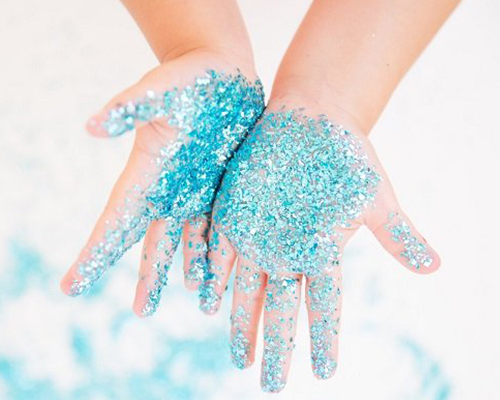 Biodegradable glitter will abound as you explore the galleries and take part in all things shiny and bright at this family-friendly fundraising event in support of the Children’s Museum. What’s better than a dunk tank? A Glitter Bomb Tank! For a $20 donation, give your favourite family member a turn in our Glitter Bomb Tank where he or she will be bombarded by pounds of glitter confetti in front of our guests! Want to add extra sparkle to the experience? Buy extra scoops of glitter for $10 each, or double-up your family’s fun and send two family members (1 adult + 1 child) into the tank for a $25 donation. If you are interested in learning more about Support Opportunities available for Family Night Out, please refer to our Support Package (PDF) or contact our Development Team at 204.924.4010 for additional details. Want To Hear About More Events In The Family Night Out Series? Please be advised that only guests who purchased their tickets in advance will be granted access to this event. Tickets will NOT be available for purchase at the door. As a museum fundraising event, all Family Night Out tickets are non-refundable. Early Bird discount offer will be in effect until midnight on Sunday, March 31, 2019. Online ticket sales will close at midnight on Friday, April 12, 2019 (or while supplies last). This event has sold-out in previous years. Avoid disappointment – we strongly recommend purchasing tickets in advance to guarantee their availability. The Children’s Museum is a registered non-profit children’s charity (#10348 0943 RR0001) that relies on earned revenue, including donations received through our fundraising events, to cover approximately 90% of our operating costs. As such, your support of the Children’s Museum’s Family Night Out Series is extremely meaningful. Proceeds generated by this fundraising event will enable the museum to enhance exhibits, create educational programs, and help fund our Access Programs – including the Free2Play Access Program, the Rural Access Program, and the Explore-Abilities Access Program – which help to provide free museum visits and programming to under-supported children in Manitoba.